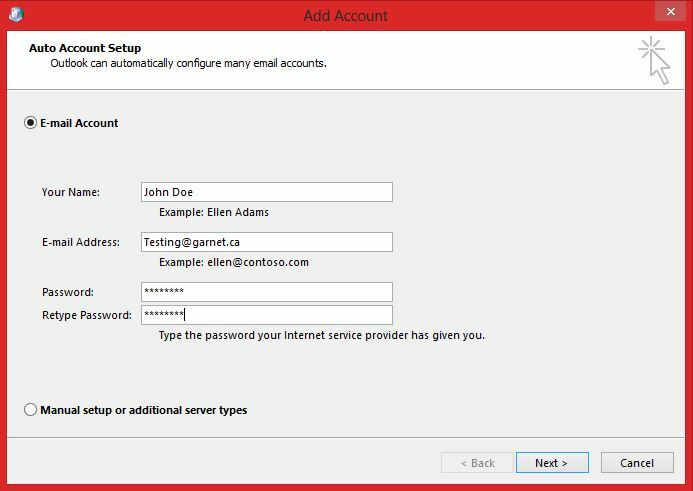 How do I configure Outlook 2010 or Outlook 2013? 1. 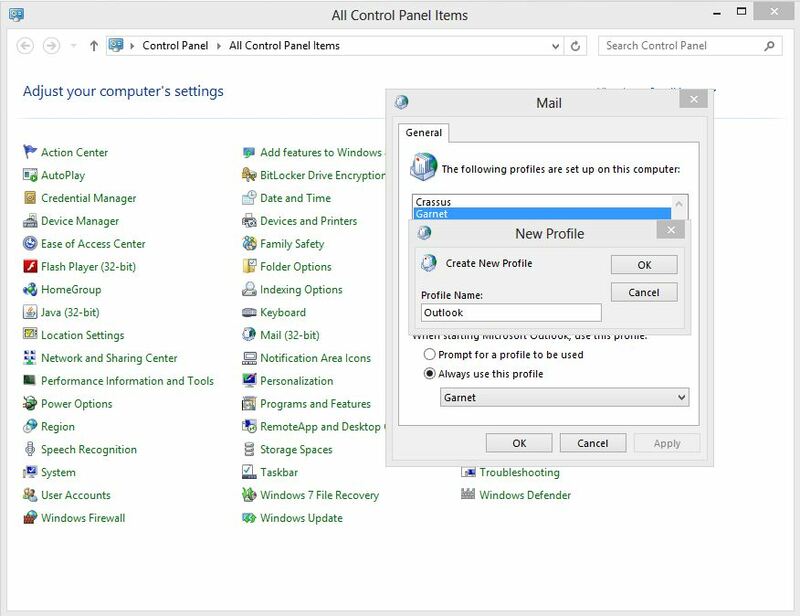 Go to "Control Panel" -> "Mail" -> "Show Profiles" -> "Add". 2. Give your profile a name. For Example, "Outlook". 3. Fill in your information: Your name, your email address, and the password; then, click next. 4. 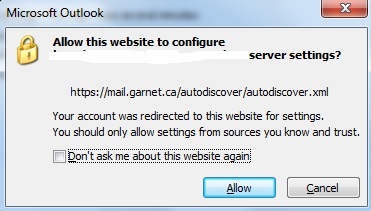 If a message asks you if you allow "mail.garnet.ca" to configure server settings, please check the checkbox "Don't ask me about this website again" and then click allow. 5. 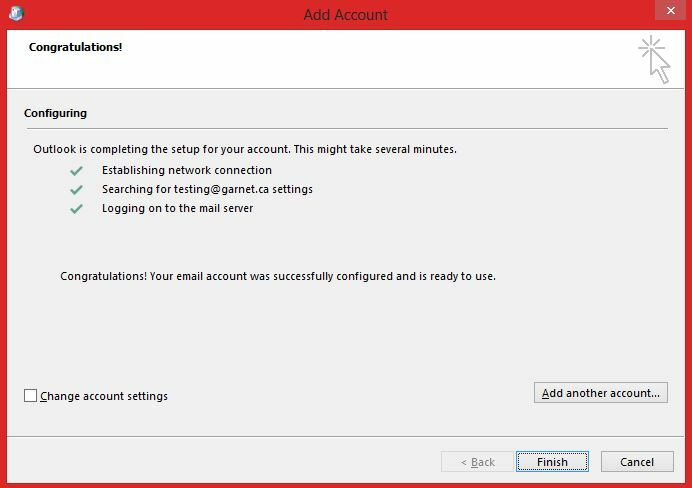 Click finish, and then start Outlook. 6. If you get prompted to enter your password, do so, and check "Remember my password". Copyright © 2019 Garnet Research Corp. - All rights reserved.